Fit Body Boot Camp is a popular gym chain known for its after-burn workouts. They specialize in HIIT 30-minute workouts. FBBC sessions are overseen by a trainer and carried out in high-energy group sessions. FBBC has branches in the U.S., Australia, Canada, and the U.K. Its main areas are in Canada and the U.S., with 58 branches in Canada and 44 branches in the U.S.
Bedros Keuilian founded Fit Body Boot Camp in 2009. He began as a personal trainer and later on, invested in building a gym. He built the first Fit Body Boot Camp in California. The success of FBBC lies in the initiative of its owners in establishing the best kind of fitness business. FBBC owners regularly attend conferences to improve their coaching capabilities, which led to recognition at the 2013 World Conference Success Awards. Fit Body Boot Camp’s main bases of operation are in the U.S. and Canada. California is FBBC’s main U.S. headquarters. Each Boot Camp maintains an average weekday schedule of 5:00AM – 9:00AM and 4:00PM – 6:00PM, depending on their sessions. Benefits of Joining Fit Body Boot Camp / Why Members Like Fit Body Boot Camp? What sets Fit Body Boot Camp apart from other gyms is the communal aspect of its training. Training is done in groups, making for a more dynamic and challenging setting. The quality of training is still on par with personalized coached sessions. In just 30 minutes, members are challenged and motivated to achieve more than mere fitness. While there are no individual sessions at Fit Body Boot Camp, the trainers do provide personalized regimens. Whether as a group or on one individual’s performance, they cater regimens to fit certain physical capabilities. The cost of getting a personal trainer at FBBC depends on membership type, and is priced at around $200 a month. Trainers are expected to have undergone an FBBC trainer certification program. Fit Body Boot Camps have shower areas and locker rooms. These areas are smaller but are sufficient and clean enough for use after workouts. Many FBBC facilities have special kids-only training sessions that were designed for their particular physical level. Boot Camps are also open for both men and women, though the Tulsa FBBC is available to women only. Boot Camp facilities are also set up for group training. The different forms of cardio equipment are organized around a central area to allow a quick flow during the 30-minute training period. The excitement of FBBC training sessions tend depend on the number of people joining, but slots are managed so that gyms do not get too full. Gyms can be visited any time during operating hours, whether early morning or late afternoon. The staff at Boot Camps welcomes crowds of all ages and physical capabilities, and lower fees make FBBC more accessible. Coaches are accommodating to all members and see to each individual’s training needs. Fit Body Boot Camps have initiation fees of $100 for singles and $200 for couples. Monthly fees are at $200, and cancellation fees are $50 for singles and $100 for couples. FBBC offers no discounts for upfront payments, employers, or seniors. The fees are the same for all age groups, but monthly fees for couples are $160.50 cheaper and lower by as much as $1,904 for annual fees. Payments are made at any FBBC gym. They can also be made by availing of coupons online for group discounts. Membership fees entitle people to free use of facilities, instruction privileges, and monthly classes. Payment at an FBBC gym is restricted to that respective gym. Relocating members would have to cancel their memberships and avail of a new one at their new gym. 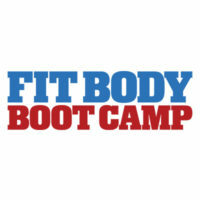 Fit Body Boot Camp offers no guest pass but welcomes individuals who may want to try sessions out. Guests will be given the same treatment as members through their intensive training. Certain Boot Camps offer free trial memberships ranging from a few days to a week. Interested parties can sign up through their websites and avail of the trial at the respective gyms. The facilities at Fit Body Boot Camps include different kinds of exercise equipment and an open area meant to accommodate the group training. Boot Camps also have showers and locker rooms for members and guests. The exercise equipment available at these Boot Camps includes exercise balls, boxes, bands, bars, and ropes. The equipment is geared toward building mass through calisthenics and cardio. FBBC provides high-quality personalized group training services. Coaches train groups, but will still focus on individual improvement. Gyms also provide members with access to a wide variety of equipment. Membership fees entitle members to free access to classes, whether monthly or annually. Classes consist of 30 minutes of high intensity interval training geared toward burning fat.